Supporters browse donated items during the 9th annual Black & White Auction event benefiting the Boys & Girls Club of Kootenai County last Friday night at the Coeur d’Alene Resort. Boys & Girls Club of Kootenai County Executive Director, Ryan Davis, describes the impact of the Boys & Girls Club during the event. The incredible stories of these five Club members made for an impactful and emotional time. Pictured left to right: Ryan Davis, Zach Liberty, Dan Liberty, Danika Keyser, Riley Keyser, Alex Keyser. Vice President of Boys & Girls Clubs of America, John Miller (center), flew in from Atlanta, Georgia for the event. He is pictured with Boys & Girls Club of Kootenai County board member, Sandy Patano, Peter Riggs, Shelley Rosenberger, Dr. Jack Riggs, and Ron Rosenberger. 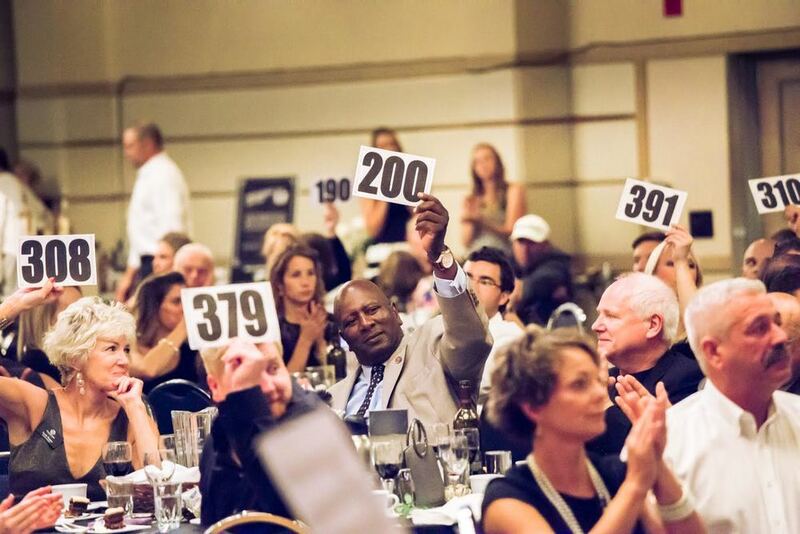 The Boys & Girls Club of Kootenai County Raises Over $275,000 for Kids and Programs at its 9th Annual Black & White Auction Event. The Boys & Girls Club of Kootenai County hosted “A Night In Black & White”, its 9th annual auction and dinner event on the 11th of September, 2015. 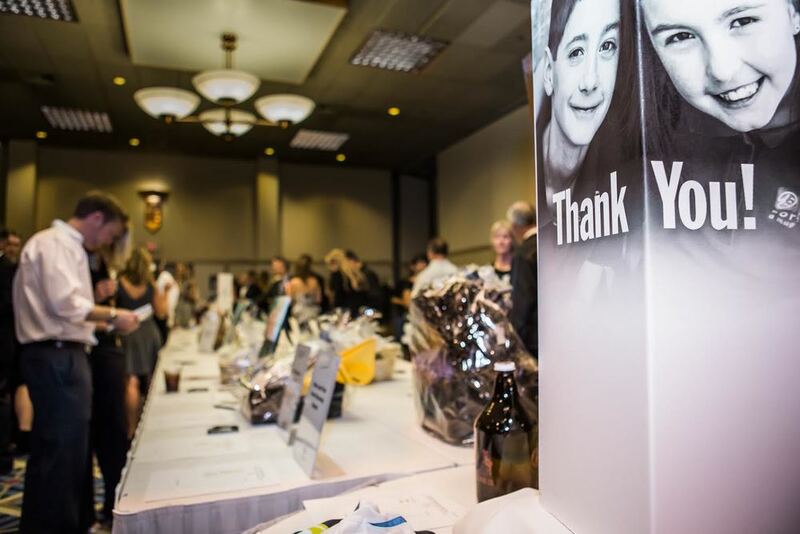 The black and white themed sell-out event hosted at the Coeur d’Alene Resort sold more than 450 tickets and raised over $275,000 for the non-profit organization. The money raised goes directly towards programs for the more than 3,500 youth the Boys & Girls Club serves annually in Kootenai County. In addition to the silent and live auctions, the evening included a few distinguished honors going to Liz Barrett for her outstanding commitment to the kids at the Boys & Girls Club through her running program called Soul Sisters; and to Dr. Jack Riggs for furthering the cause by enhancing the Clubs administrative capabilities. Also in attendance was the National Vice President of Boys & Girls Clubs of America, from Atlanta, Georgia, Mr. John Miller. The overwhelming success of the event can be attributed to the multitude of silent and live auction items donated as well as the generous event sponsors. Major sponsors included US Bank, Bank CDA, Avondale Dental, Rita & Rick Case, Idaho Forest Group, The Marina at Black Rock, and P1FCU. Once again, a major highlight of the night was the paddle raise, where attendees generously donated $120,000. All proceeds from “A Night in Black & White” go directly towards this year’s operational budget for both the Jordan Johnson Center in Post Falls and the Coeur d’Alene branch currently operating at Sorensen Elementary. Thanks to the generous supporters of this event, the Boys and Girls Club of Kootenai County can continue to offer memberships to the youth of this great community for just $20 for the entire school year.